Migraine headache is a specific type of headache that is associated with physiologic changes in the brain. It usually produces characteristic symptoms. The exact cause of migraine headache is not well understood. It is possible that fluctuations in the levels of certain neurotransmitters, chemicals that send messages between brain cells, may predispose some people to develop migraine headaches. Migraine headaches usually are associated with sensitivity to sound, light, and/or smells. Other signs and associated symptoms include head pain that is described as severe or pounding, most often on one side of the head. Other symptoms can include nausea, vomiting, eye pain, or loss of vision. Some people experience specific warning symptoms prior to the onset of a migraine, known as an aura. 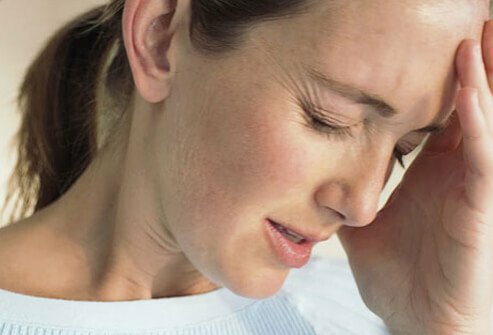 A migraine is a throbbing painful headache, usually on one side of the head, that is often initiated or "triggered" by specific compounds or situations (environment, stress, hormones, and many others). They occur more often in women (75%, approximately) and may affect a person’s ability to do common tasks.